The D Rose 5 Boost will help you become a true Derrick Rose nerd, and it's now available here in Pinas! adidas enthusiasts and Derrick Rose fanboys, listen up! In case you didn't know, your idol's signature shoe, the D Rose 5 Boost, is now available here in the Philippines for P7,995! Woot woot! For the clueless, the D Rose 5 Boost aims to help wearers perform better on the hard court with a feature called Boost. It's basically a cushioning technology made with a material which has more "bounce" than the foam used by other shoes. So, what's the magic ingredient of this wonder material? Thousand of tiny capsules! adidas says these capsules work together to give you a soft and lightweight cushioning system. But that's just half the story. The other half is all about Boost providing ideal energy return and release, optimum responsiveness, and comfort. 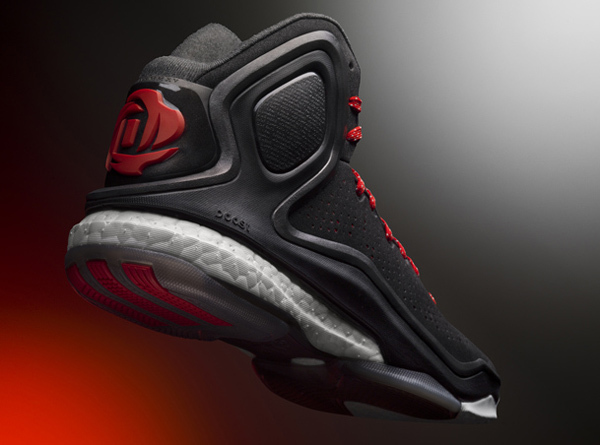 But aside from the game-changing Boost innovation, the D Rose 5 Boost is also filled with bits of Derrick Rose trivia. Personalization, FTW! In other words, it won't only transform you into the pop kid of your weekend tune-up games, it will also give you more off-court deets about the Chicago Bulls' super skilled, super athletic, and super persevering (career-ending injuries begone!) superstar guard. And all you need to do is take a closer look at the shoe. "R.A.D" (found on the ankle support): This stands for Derrick Rose's three brothers, Reggie, Allen, and Dwayne. They helped raise and support the Bulls' guard so he can focus more on honing his ankle-breaking and rim-rattling skills. "No freshman" (found on the ankle support): Apparently, there's a rule in Derrick Rose's high school, Simeon Career Academy, that disallowed freshmen from playing for the varsity basketball team. He broke that rule. "Brenda" and "PJ" (found on the toe area): Brenda is the name of Derrick Rose's mother and PJ is the name of his son. See? Trivia!